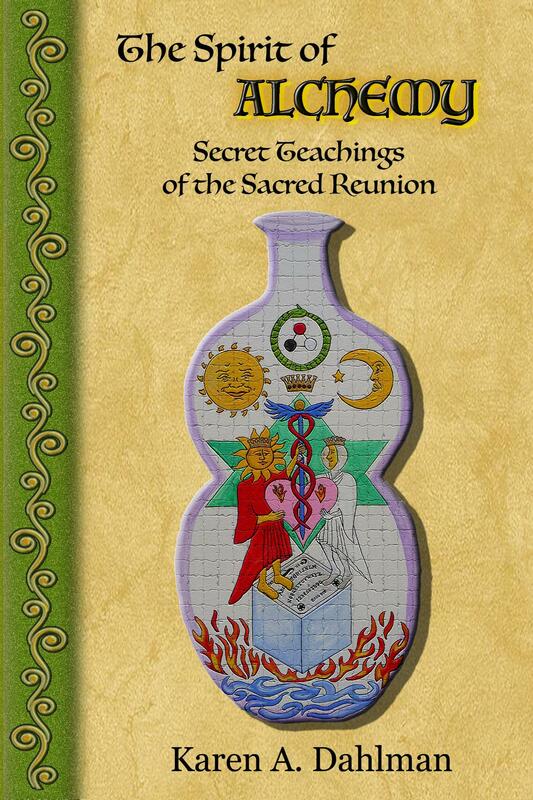 The Spirit of Alchemy: Secret Teachings of the Sacred Reunion sheds light on the secret teachings of alchemy that detail the cosmic blueprint. Exploring this science of spiritual truths, the author continues to share in great detail her “Alchemical Ouija” work, eloquent synchronistic stories and edgy, thought-provoking concepts that will lead you on the most magical and mystical journey of transformation and inspiration. Say goodbye to the old paradigms of the mundane. Welcome the esoteric teachings of the profane, while transforming the lead of life into Golden opportunities. Awaken and engage Real Magic! As host of The Secret Teachings radio program, I have had the opportunity to interview Karen Dahlman on several occasions and her work is always parallel to my thoughts and work that is prior to me being aware of what she may be working on at the time. This book came about in a synchronistic fashion with a spiritual explosion amongst the general populace. It presents a simple to understand view of ‘the secret teachings’ in relationship to the transformative concept of alchemy throughout all of our own lives. Karen explains the categorization of the imaginative/spiritual realm as being termed ‘black magic’ in an effort to suppress any knowledge of these alchemical qualities to the average man or woman. This suppression led to underground orders that kept the true meaning of alchemy alive and well even to this day. She uses the concepts of balance or light and dark, better known as male and female energy, to explain this transformative balancing process. Rather you have read her other works, such as ‘The Spirits of Ouija: Four Decades of Communication’ matters not when you read this book as it is filled with details of her work with the ‘board’. The book overall will lead you on your own transformative journey, you acting as a lump of metal that hopefully by the end will be transformed into a more enlightened form of gold. I enjoy this book as much as Karen’s Spirit of Ouija. Being a Pagan I can so relate to so many tools and techniques she uses in this book to get you to know your Higher Self and takes you on an amazing and magickal journey to your Inner and Outer Worlds! Highly recommend! So much information is neatly packed into this one empowering and eye-opening volume. With her well-educated yet down-to-earth writing style, Karen takes us on a journey within. She’s obviously done her scholarly homework, yet her message is accessible for all. Gently debunking myths and casting aside old limitations, she offers new possibilities for growth and accessible instructions for personal awakening. I enjoyed reading her personal stories as she led us by the hand into redefining and stretching the bounds of alchemy, archetypes, ancient wisdom teachings, gender identity and so much more. Always positive and uplifting, her personal light and good humor shine on every page. This book takes us on a lively romp through history, touches base on a myriad of philosophies, and shares a visionary eye to the future. I especially enjoy her insights and tutorials on the Ouija Board; she is an outspoken proponent on this ancient and valuable spiritual tool. Thank you Karen for your latest creative effort. You will continue to touch many lives and many hearts on this earthly journey. This is the second book I have read from Karen and I have to say it is one of the finest pieces of non-dogmatic spiritual enlightenment out there. I would go so far as to say she is one of the finest spiritual teachers around but that doesn’t even begin to explain who she truly is, she is one of the most open minded and beautiful philosophers around. I am a follower of the left hand path and while many would consider that the devils work, they couldn’t be further from the truth, Karen takes these paths a step further and places them within “Source”. My paradigms have shifted because of this book as well as her next book “Spirits of the Ouija”. Anyone seeking enlightenment, spiritual and personal growth or are just now exploring life, do yourself a favor and get this book. In “The Spirit of Alchemy,” Karen A. Dahlman guides the reader on an affirming and companionable exploration of how to reach outward, to one’s Higher Self and guiding spirits, and inward, to face one’s Daemons, and strive toward a golden thread in life that unifies and transcends. She emphasizes the importance of the Divine (or Sacred) Feminine in balancing the forces that our materialistic and mechanistic world insists upon us, which is a significant consideration for those of us of the Y-chromosome contingent. The most affecting parts of the book, for me, were those relating her personal experiences, both as a therapist and in learning from her spirit friends. They make the more philosophical sections of the book more real, and in fact they achieve the kind of balance between the quotidian world and spirit-based life that is the heart of the book’s message. I have to confess that, like many, I have some misgiving about the use of the Ouija board (based on youthful experiences), but it is obvious that for her it is a beneficent tool of communication. She has me nearly convinced. Karen Dahlman’s writing style is very fluid and conversational, which can almost lead one to breeze through paragraphs easily, but be prepared to stop, re-read, and meditatively digest her sentences. They are full of wisdom, even verging on the epigrammatic at times. In other words: don’t rush through the book. I’m still working to learn how the alchemical model she describes can operate in my own life, but “The Spirit of Alchemy” is a fine tool, from a wise and kindly voice. California author Karen A. Dahlman is a licensed psychotherapist, intuitive, paranormal and metaphysical practitioner. She earned her master’s degree in archetypical art therapy from the University of New Mexico and has since 1973 been a Ouijaologist experienced in hypnosis and past life regression. She has written four books on her gifts and in this book she sheds light on the secret teachings of alchemy that detail this cosmic blueprint. What follows is a book that is mind expanding and an adventure that is a pleasure to discover. In order to understand the at times vague aspects of the veiled contents of meaning Karen is opening to us, the book really must be slowly read individually: a summary doesn’t do the process justice. Karen offers a history lesson in alchemy dating very far back and brings the concepts into a fresh perspective. Even for doubters this is a fascinating read. “How far that little candle throws his beams! So shines a good deed in a weary world.” – William Shakespeare, The Merchant of Venice. This book is a very revealing read. I’m grateful to the author and her Spirit Friends for sharing so deeply and candidly their personal and universal messages. One can merely read this book and gain valuable insight or really take the time to know its ideas and allow activation of a “quiet little secret.” That’s the kind of book this is. It’s not to be taken lightly, informatively, or at a distance. It’s about you. It’s about all of us for that matter, and truthfully, it’s about all matter(s). Do you choose to struggle or flow? This book will show you why the choice is really yours and how simple (not easy) it is to exist on this earthly plane as an æthereal being yourself, living in mastery of choice through neutrality and the Truth of All; behold the real meaning of All Is One and that which naturally affects surroundings and others, all based on held feelings and beliefs. This book will also uncover your gnostic rights and what can be divinely borne out of EVERY existing duality should you choose to practice its concepts in everyday life. Again, simple, not easy, and some assembly required. Such a treasure for any book reader. I am not sure if I would have found this book had it not been for a late night driving habit I have of listening to George Noory and Coast to Coast radio. An intriguing woman deftly connecting Alchemy, the ancient art of turning lead into gold, with the, as she calls it, the golden thread of our lives and that like an Alchemist we can change the lead in our lives into a golden life of which we are in charge. Now, creating one’s own reality isn’t a new concept but using the Alchemist as a metaphor is truly unique and piqued my interest so I bought the book. From start to finish I found myself compelled to keep turning the pages. 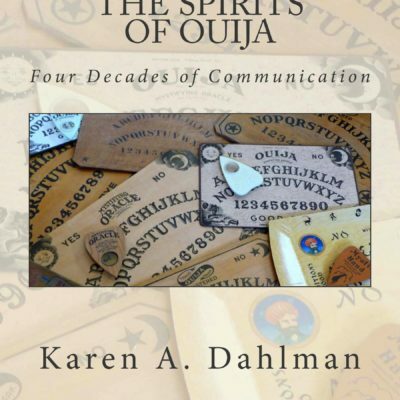 Ms. Dahlman it seem uses a Ouija board to cross-over into another reality and receives messages that have transformed her life, which she so caringly shares with her readers. From her imaginary friend that draws the reader into the beginning of the book to a reunion with that very same friend to close the pages on a very insightful and transforming piece of work that lies between. Do I believe in imaginary friends or for that matter the power of the Ouija board? I’m not really sure. What I am sure of is that personal transformation is real and the skillful way that Ms. Dahlman leads the reader step by step into a transformed life of infinite possibilities proves that Alchemy is no longer an ancient art or for that matter even a metaphor, but rather a modern day necessity for us all. I’m looking forward to reading it again so that I might find those other nuggets that I most certainly missed. Bravo Karen A Dahlman you are now one of my teachers. 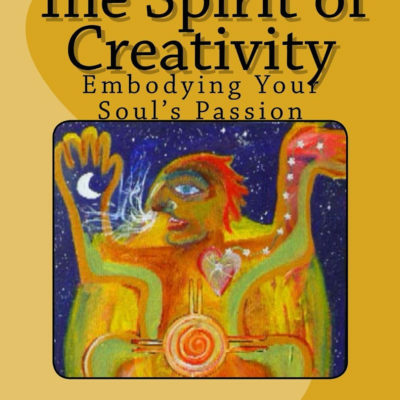 Great book — this is the third book in Karen’s “Spirit” series and is a page turner! It will lead you on a journey of inspiration and connection to your Higher Self. Read it and be amazed by the secrets that can transform your life.